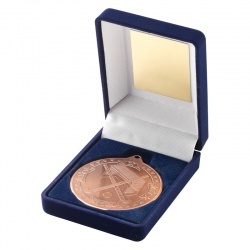 3.5in dia bronze finish hockey medal in presentation box. 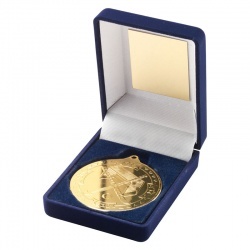 3.5in dia gold finish hockey medal in lined presentation box. 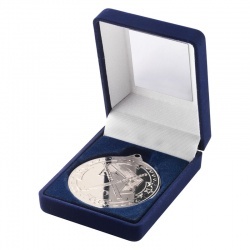 3.5in dia silver finish hockey medal in lined presentation box.